In the van, on the way back north from Jacksonville, the two winemakers and the state legislator were working the phones hard. The head winemaker’s wife took the wheel so the rest could work. 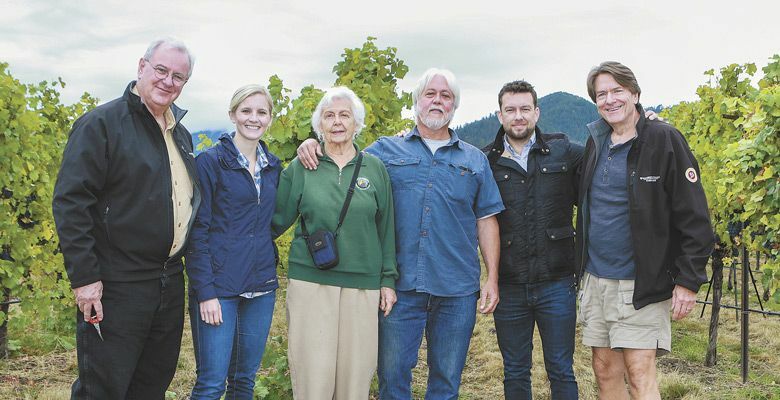 Their mission was dire: They had to symbolically save the Oregon wine industry. First some background: On Friday, Sept. 21, another shoe dropped from Copper Cane, the Rutherford, California-based wine company that had co-opted the Willamette Valley name and reputation (see related article), inviting rejoinders by the Oregon Winegrowers Association and Oregon Wine Board, and demands for investigations of Copper Cane by Oregon winemakers and legislators. Just days before the crop was to be harvested, Copper Cane informed 15 growers in the Rogue and Illinois valleys — all their suppliers in this region — that their 2018 contracts were being canceled. The reason? Smoke taint from wildfires that had burned in the region during the summer. Because of Copper Cane’s enormous sourcing needs, the contracts amounted to 2,000 tons of fruit, which alone could produce up to 130,000 cases of wine — 10 times more than a typical, above-average-sized Oregon winery produces in a year. It amounted to a devastating $4 million blow to the local winegrower community. 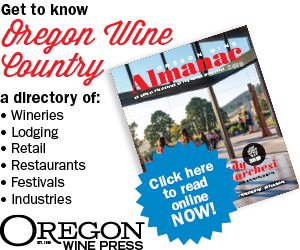 Finally, here was a way for Bernau to respond to Copper Cane with his toolkit of community engagement, media outreach and the kind of neighborly camaraderie characteristic of the Oregon wine industry — if you’re from Oregon. Within days, he and Willamette Valley Vineyards’ winery director, Christine Clair, mobilized a contingent of media members, growers and politicians to meet at the Bayliss Vineyard in Talent. On hand were State Reps. David Gomberg, Gary Leif and Alan DeBoer, as well as staff from U.S. Sens. Jeff Merkley and Ron Wyden. Together, they were “going to bring in the crop,” as Bernau phrased it, and help growers mitigate the enormous financial losses posed by the Copper Cane withdrawal. Buckets and clippers appeared, and politicians picked a row of Pinot Noir grapes as TV news cameras whirred and reporters — including this one — scribbled notes. Bernau even produced bottles of 2002 Griffin Creek Merlot, picked in a year when the Biscuit Fire raged in Southern Oregon and “you couldn’t see from one end of the row to the other because of the smoke,” he noted. The wine was delicious and free of taint, driving home the suggestion that Copper Cane’s refusal was unfair and unwarranted. “Is it taint or revenge?” a reporter could ask in investigating the situation. Back in the van, heading north on I-5 to Willamette Valley Vineyards headquarters in Turner, Bernau, Rep. Gomberg and Clair worked to make the best of a confusing, difficult situation. Calls were made to growers and wineries, and complicated logistics were negotiated on how to harvest, transport and utilize the rejected fruit. Gomberg reached the governor’s office to ask if any aid was available to the affected growers. King Estate agreed to take 10 tons of Bayliss Vineyard fruit, and Willamette Valley Vineyards increased its purchase by 25 tons from four vineyards, including Villa Novia Vineyards, where owners Mike and Amy Anderson were facing a total loss of their crop, without insurance. At the end of the day, just over 100 tons of the 2,000 rejected tons of fruit would be placed, and only among three wineries. But Bernau remained upbeat and ebullient, because an additional 59 tons of fruit would be purchased by Willamette Valley Vineyards and King Estate, and delivered to Silvan Ridge and The Eyrie Vineyards for production of an entirely new brand: Solidarity, another Bernau brainstorm hatched during the car ride.